Shaktigarh, Sailendra Smriti Pathagar O Club also known as Shaktigar Pathagar, Established in 1952 is not only confined with social service point of view but to also to achieve an outstanding force to maintain cultural heritage and tranquility of the inhabitants of this area. Along with it, this club is also a leading organization for keeping green environment in terms of culture, sports and educational sphere with the constant and sustained efforts rendered by the members. 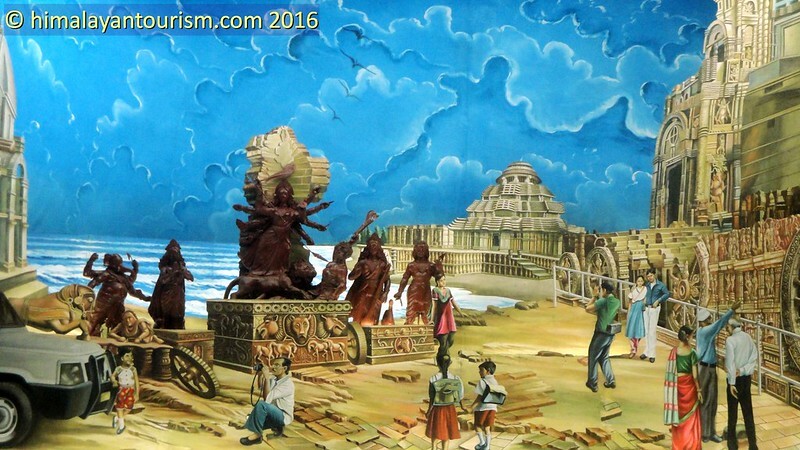 The Puja pandal is made on the theme of a traditional Indian Temple – completely Jute works on wood board, a very sophisticated job has been done. Pandal decorated by the artists of Paschim Medinipur. Siliguri JTS Durga Puja is in 46th year. The idol from Kumartuli, Kolkata. Siliguri Durga Puja 2013 Upkar Athletic Club’s puja theme is Dhak-Based modern pandal with CDs” – The pandal is decorated using CDs and DVDs; Cell and Batteries; Electronic Wires, Plastic Bottles etc. “Special care will to be taken while making the pandal because of the presence of electronic gadgets and renewable plastic products”, says Uttam Paul, the the Club Secretary. 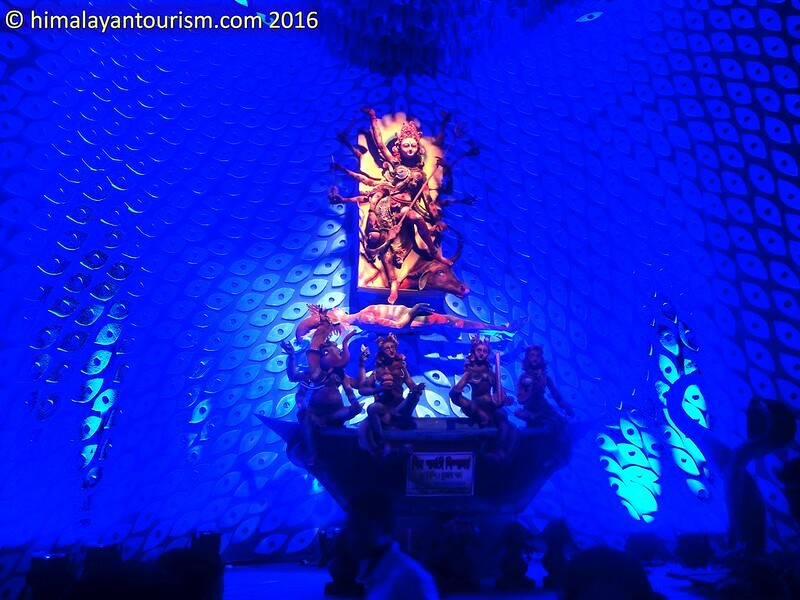 Idol of goddess Durga which is dhak based – made by artists Krishna Nagar, the idol is being made of 22 ft width and 15 ft height, quite huge it seems and attractive too. “Maa aasche dolay chore, Laxmi gachen sathe kore…”, is the theme of Rabindra Sangha’s Puja this year. 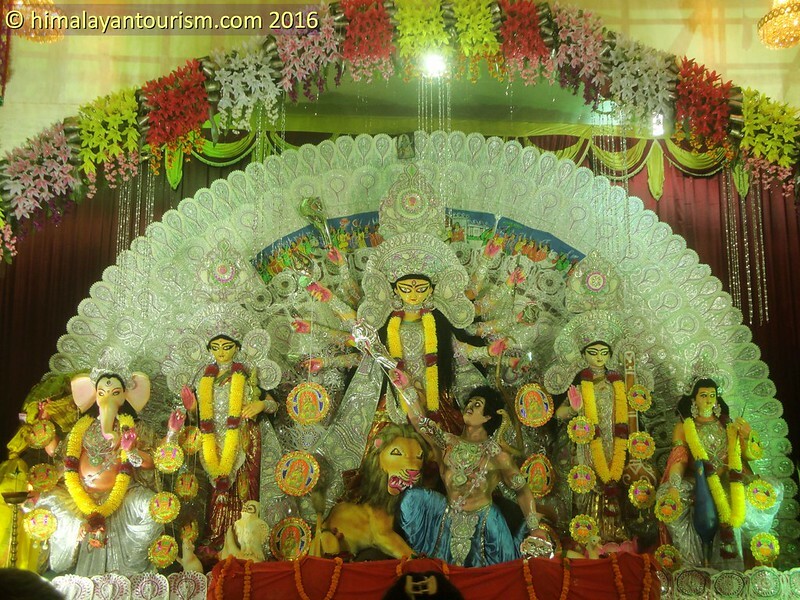 This year the Rabindra Sangha Club, Siliguri will be celebrating its 61 years of Siliguri Durga Puja Celebration. 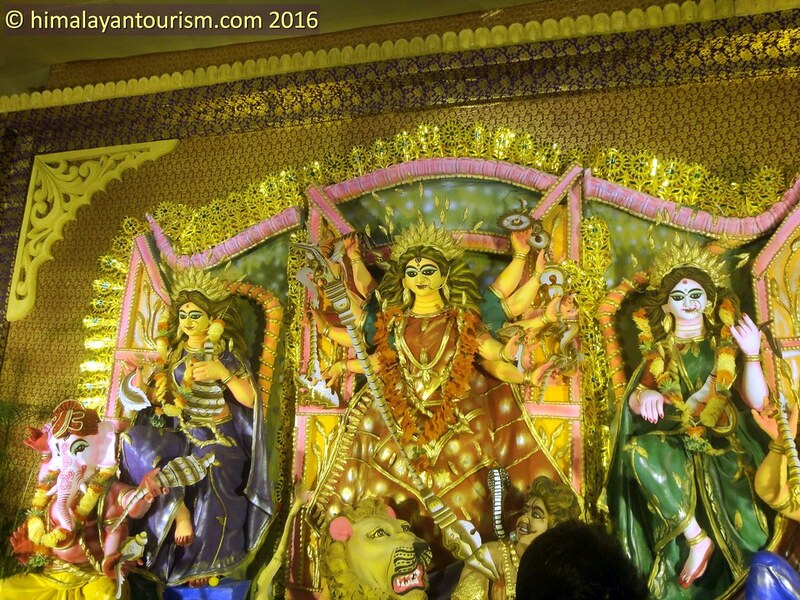 Siliguri Durga Puja 2013 – Rabindra Sangha pandal is handcrafted & art based. 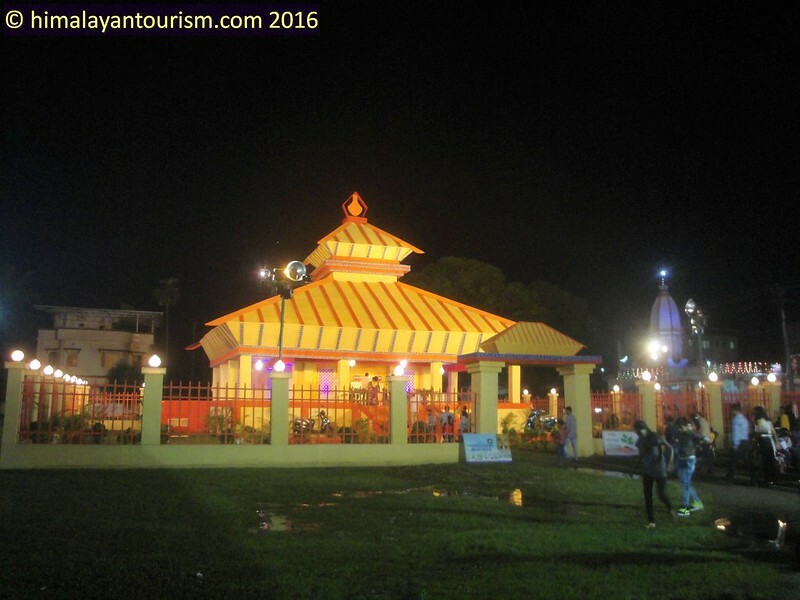 Rathkhola Sporting Club will be celebrating its 48 years of Durga Puja this year and they named the theme ‘Mangaldeep’,i.e. pure, celestial lamp burning in the name of God. 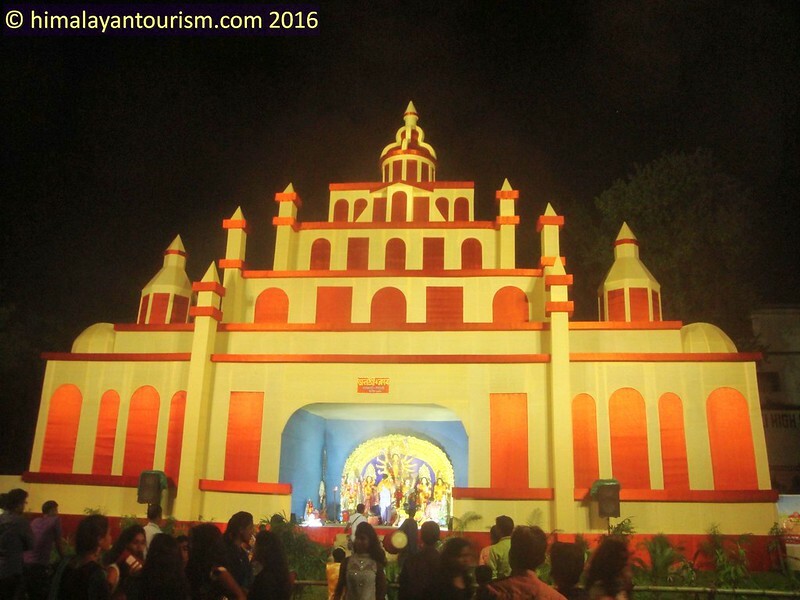 The pandal is a huge shining ‘deep’ burning, told the Puja President, Subhaas Bhowal. Its like the people are praying to Goddess Durga to save us from misfortune. At the entrance a huge ‘shivalinga’ along with the idol of Goddess Durga. 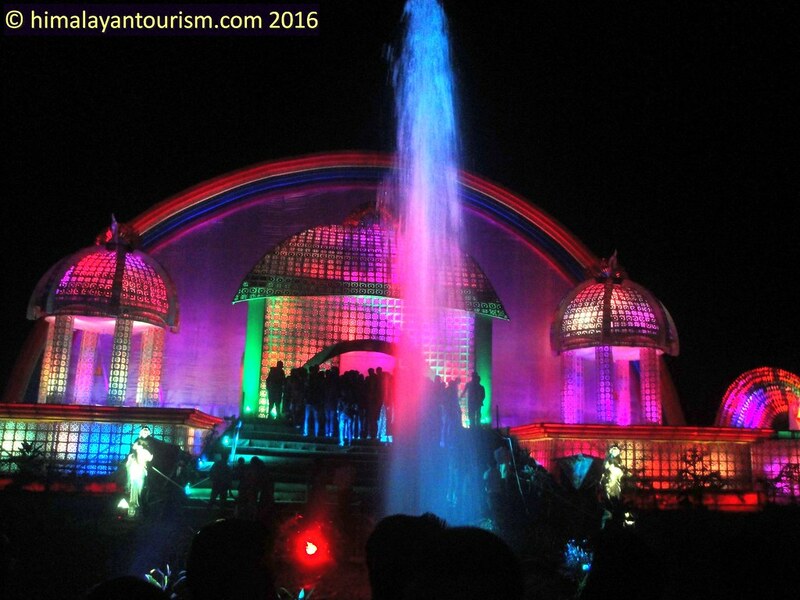 The pandal is being made of ply, jute, bamboo planks, ice-cream sticks, bamboo handicrafts, colored paper etc. 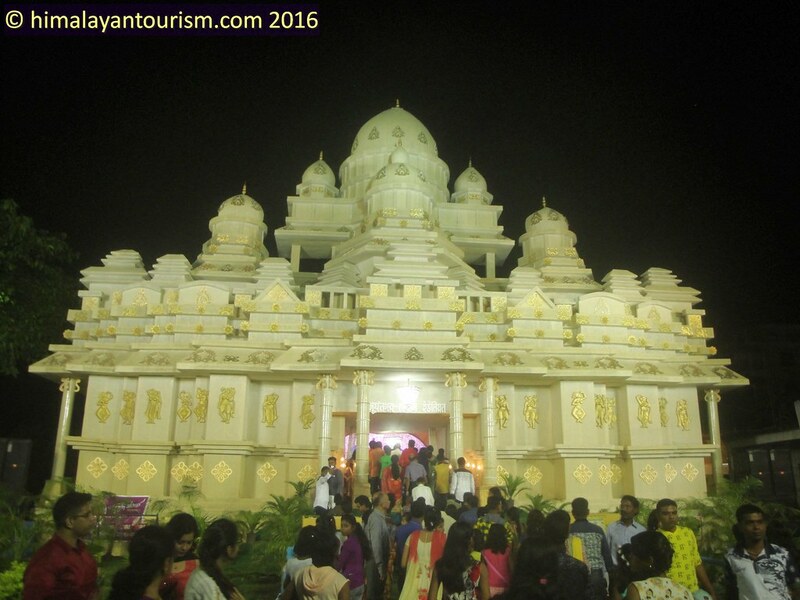 The pandal has 5 ways for entrance and 4 ways for exit. Free parking lot will be provided by the club along with drinking water and first-aid arrangements and so on. Children will be provided with a card with their name, phone number and address in it if required. The decoration is being done by the famous Shyamal Sarkar of Siliguri. The pandal is being surrounded with water on all sides for fire safety. Durga Puja 2013 is knocking on he door, we are also ready to share the photos and videos of Siliguri Durga Puja. Please keep visiting – the photo and videos will start appearing as soon as the festival begins.